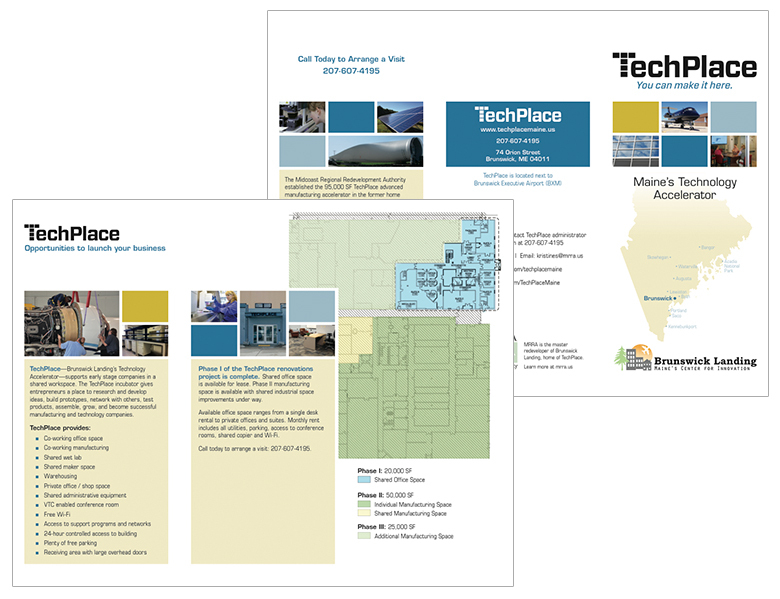 TechPlace is a manufacturing co-working and incubator space in Brunswick, Maine. They needed two brochures—one to attract local businesses and a second version to appeal to out-of-state entrepreneurs who may be considering relocating to Maine. Visible Logic handled the design and copywriting of two tri-fold brochures.